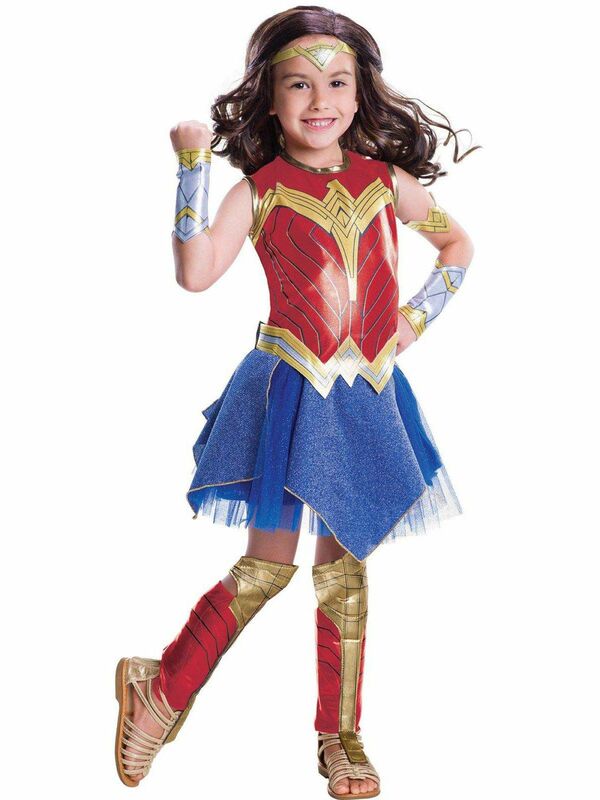 Show some girl power with this Wonder Woman Movie - Wonder Woman Deluxe Children's Costume. Includes a Dress, Belt, Gauntlets, Armband, Shin Guards and Tiara. Who doesn't love to dress up like warrior goddess and feel inner powers? Wonder Woman gained huge popularity over few years and became the strong feminist icon. Lets catch up with amazing fighter of this universe, Diana the princess of Amazon. Is she looking for a real drama for special event? Then let her dress up like a most dramatical character. You must dress up her in the most iconic party dress and let her feel special about herself. Get the perfect attitude and look in Wonder Woman Movie - Wonder Woman Deluxe Children's costume.